Discover the 4 Shifts Protocol for integrating technology in the classroom, a clear approach that promotes deeper, personalized learning across subjects and grade levels. This quick read will help guide you through educational technology integration and digital learning space creation. Reshape educational technology integration in classrooms to build truly transformative learning spaces. This concise, reader-friendly guide outlines a clear approach for properly and skillfully using digital learning tools to promote deeper, personalized learning across subjects and grade levels. The authors impart tips and strategies for avoiding common missteps, overcoming implementation challenges, and redesigning instruction that is both meaningful and engaging. 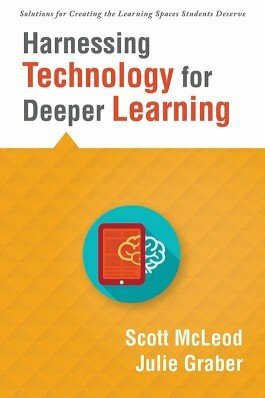 Consider the challenge educators face when integrating technology in the classroom and current technology-integration frameworks, such as SAMR, RAT, and TPACK. Discover how to create a successful digital learning space or environment that encourages academic growth. Explore the authors’ 4 Shifts Protocol (formerly trudacot), which focuses on the four big shifts that schools are making toward (1) deeper thinking and learning, (2) authentic work, (3) student agency and personalized learning, and (4) technology infusion. Learn how the 4 Shifts Protocol can help teachers adjust and improve their current lessons and activities. Study specific scenarios on how to utilize the 4 Shifts Protocol across multiple subjects and grade levels.